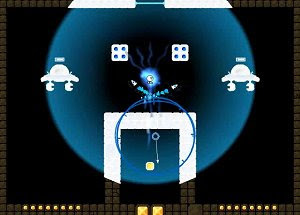 Focus is a 2D platformer game with a teleporting mechanic called “Focus Mode”. You’ll be fighting your way to freedom through a world consisting of mysterious caves filled with rather unfriendly flying robot enemies. Inside your “Focus Field” everything will move in slow motion so you can easily dodge missiles and other things you don’t want to touch.